These pretty butterfly shoes appeared on my facebook news feed recently and I instantly fell in love. They also come in another version which is purple combined with a blue and yellow butterfly. Both colours are beautiful. I haven’t seen butterfly shoes before so I was very impressed with the whole concept. I often wish there were more butterfly themed fashion items around so these would suit my desire perfectly. 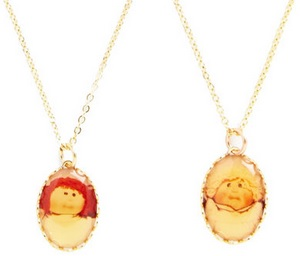 I recently discovered the site Le Bomb Shop and it’s my new favourite. It is the ultimate destination for polka dot dresses and there are many other sweet prints too such as cherries, hearts, polka dots, stripes and tartan. The prices seem very reasonable so I can definitely see myself placing an order in the near future. My favourite is the dress below. My love for yellow is always increasing and I am yet to own a polka dot yellow dress. I am also drawn to pieces with peter pan collars because they are super adorable and add so much to a look. 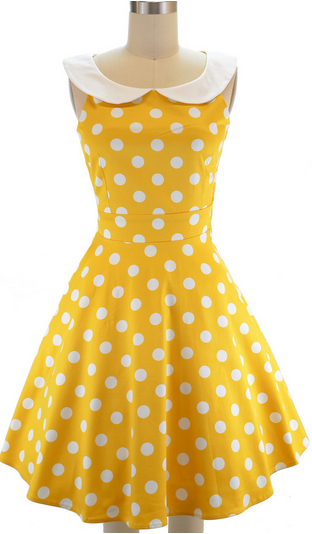 So the combination of yellow, polka dots and peter pan collar is the perfect dress for me. Ever since I purchased my planet plate set from Modcloth which I posted here, I’ve paid more attention to the home decor section of their website. There are so many fun and creative pieces that would look amazing in the house. These cat coasters are a favourite because I love kitty cats so very much. There’s not much more to say than that! 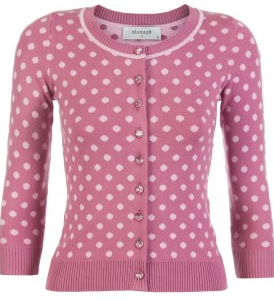 I actually have this cardigan in mint green but I’ve always wished I had it in pink too. When I bought it I couldn’t decided which colour to get but for some reason I’m always drawn to cardigans in green which has resulted in me having an excess of green cardigans. Now I really want it in pink, it’s a really lovely quality piece too. There definitely is a recurring theme of polka dots in this post. Over the last couple of months I haven’t purchased as many Alannah Hill pieces as usual; there just haven’t been many pieces which have really impressed me. That’s probably a good thing for my bank account. I am so incredibly sad that I missed out on this dress in my size in the current Modcloth 70% off sale. The dresses always sell out so fast. I will be keeping an eye out in case any others miraculously become available. The watermelon collar is the best idea ever, I’ve never seen anything like it. When mixed with the black and white gingham, it creates a seriously cool combination. This is a Bea and Dot dress which is fast becoming my favourite brand sold on Modcloth. It’s one of the only labels I’ve ordered with which I’ve been completely satisfied. The designs are so creative and the quality is excellent. I hope that soon I’ll be able to show you how I style the Bea and Dot dresses from my new in’ post here. 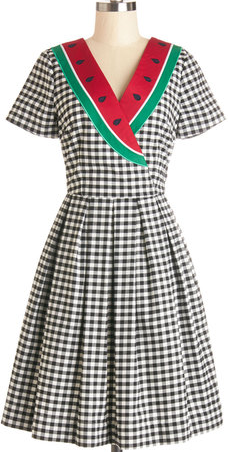 I just wish I could add this watermelon inspired dress to my collection. My greatest fashion discovery this year has been Bonne Chance Collections. 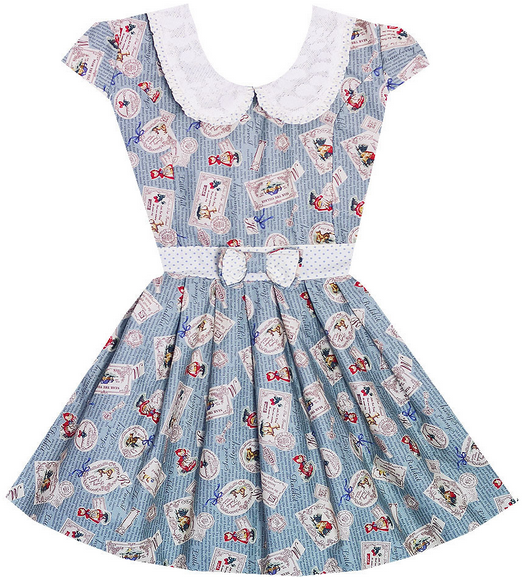 The prints are a dream and, coupled with the bows and peter pan collar, they are the most perfectly adorable dresses. The particular dress is covered in little red riding hoods. What an amazing idea! I also noticed many new arrivals on the website including a bambi dress and a bunny rabbit dress. My only issue with Bonne Chance Collections dresses is that they run large but the prints make it worth it and some designs are now being made in an extra small. I have one Bonne Chance Collections dress which I posted here and I would love to add more to my wardrobe. I really need a new wallet because my current one is falling apart. 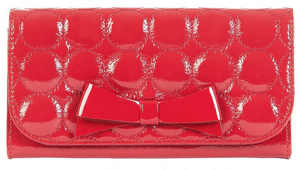 I’m not sure exactly which one but I do like the wallet below because of the pretty design and the shiny material. It’s very, beautiful and classy. I find wallets frustrating because they never have enough card holders, am I the only person has that issue? I usually like Guess wallets but there aren’t any I like right now in Guess. I definitely favour this one from Alannah Hill. This entry was posted in Wishlists. Bookmark the permalink. Such a beautiful collection of clothes, I love them all! Those butterfly heels are so lovely! You always wear the most unique pieces. Hope to see those in one of your posts one day! The heels are beautiful and love the last dress.Thanks so much for stopping by…Hope you have a successful week ahead! The 1st shoes are amazing!!! Those butterfly heels are so cute! Wow ! Those dresses are brillant ! Have à lovely summer Tia ! Amazing job dear! Love this post. The dresses looks amazing. Aaaawwwww all of these items are SOO cute and I would definitely love them all for myself!! I actually just bought some very similar butterfly heels the other day, I can't wait to receive them in the mail!! Aaaw these heels are adorable! And I'm in love with all the dresses too! Cuteness overload! Those butterfly heels remind me of that pair of Zanotti's(?) I saw a few months back and that have sold out everywhere. Groan. 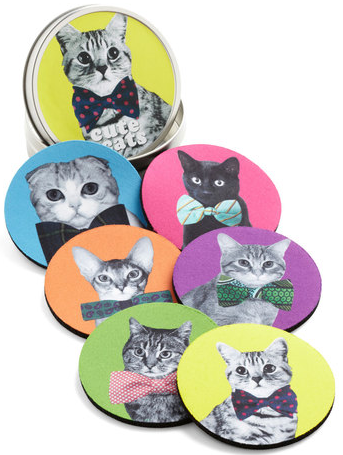 Also those cat coasters are retro fabulous! My favorite pieces are the butterfly shoes (asooo beautiful) and the cute Little Red Riding Hood dress!